Zero Tolerance, one of UK’s largest printed metal magazines, rates Pantheist’s ‘Seeking Infinity’ with 5/6 in their latest issue. They remark that “Some bands bleed quality and thankfully for us, Pantheist are one of the few”. Meanwhile, Midnight Madness Metal Radio recently presented ‘Seeking Infinity’ on their Headbanging Moose Show. You can listen to the full episode here. 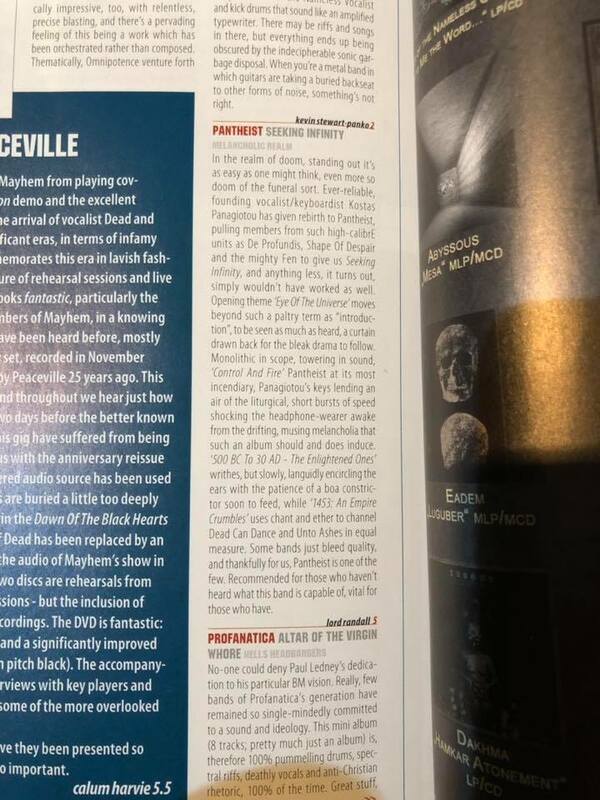 Finally, the new album has also been mentioned as one of the highlights of 2018 by Cult Never Dies.